On November 11th, we remember Canadians who fought for peace and freedom, and especially those who did not return home. It was on this date, 100 years ago, in 1918, at 11:11 a.m. that the First World War ended. Officially called Remembrance Day, it is also known as Armistice Day, or Poppy Day. We remember our many brave soldiers who endured the hardships of war throughout history, as well as those who served (and continue to serve) in peace-keeping missions far away from Canadian soil. Remembrance Day may have originated as a means to mark the ending of the First World War. However, since 1866 to present day, Canada has been involved in 19 wars. These include the Fenian Raids (1866–1871), the Wolseley Expedition (1870), the North-West Rebellion (1885), the Second Boer War (1899–1902), the First World War (1914–1918), the Russian Civil War (1918–1920), the Second World War (1939–1945), the Korean War (1950–1953), the Persian Gulf War (1990–1991), the Somali Civil War (1992–1995), the Bosnian War (1992–1995), the Kosovo War (1998–1999), the Afghanistan War (2001–2014), the Libyan Civil War (2011), and the International Military Intervention against ISIL (2014-present). November 11th is an important day of remembrance. This is especially true since, with each passing year, there are fewer survivors of world wars. It’s more important than ever to remember the sacrifices they made for our country. 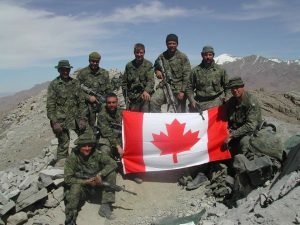 We honour these courageous soldiers for their service, keeping Canada strong and free. Poppies, which are sacred symbols of remembrance, should be worn on the left lapel, closest to the heart. They are to be worn from the last Friday in October until the evening of November 11th. Donations to the Poppy Fund support war veterans and their families. 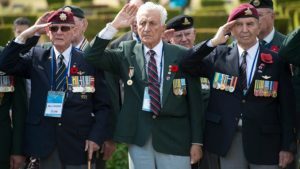 Remembrance Day ceremonies are planned across the country, and beyond, by many of the 1,400 branches of the Royal Canadian Legion. 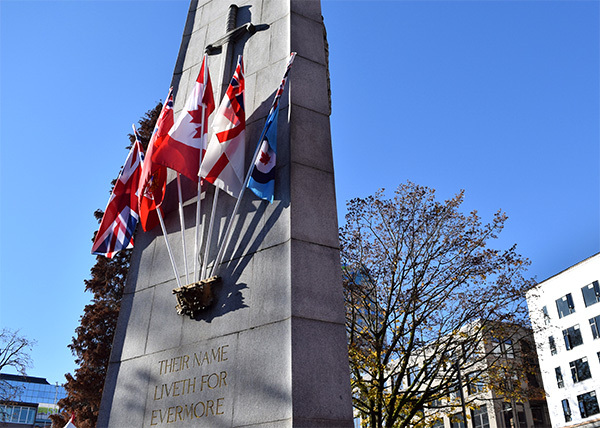 Find out more about ceremonies in your community, including a branch locator at www.legion.ca, or visit the Veterans Affairs Canada website, for events across Canada. 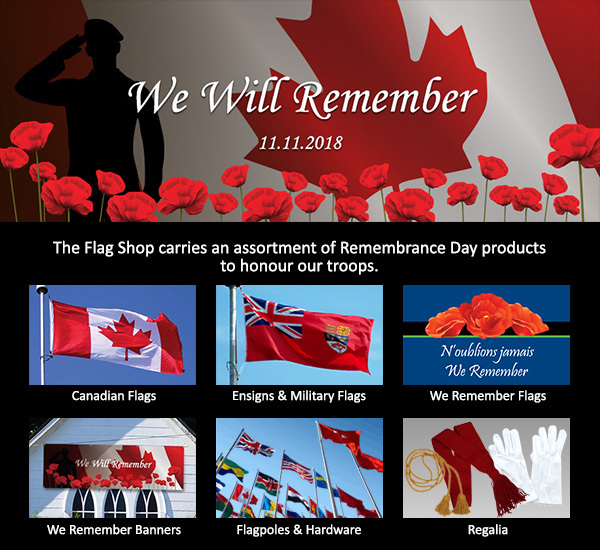 The Flag Shop carries a full range of Canadian-made Remembrance Day products as well as ensigns and military flags to honour our serving and fallen heroes. 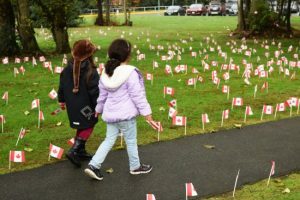 If you enjoyed this blog, and would like to read more interesting stories, or learn about events taking place in your community, you can subscribe in the upper right corner of our blog page at: blog.flagshop.com. It’s quick and hassle-free! And, don’t worry, if you’re not captivated by every word, unsubscribing is just as easy!